I'm glad you looked me up! If you'd like to learn more about my work, my background, and my interests, feel free to have a look around. If you're just here to buy a book, click here! my new book, is available from Brandylane Publishers, Inc. by clicking here. Or, you can also find it on Amazon.com and BarnesandNoble.com. 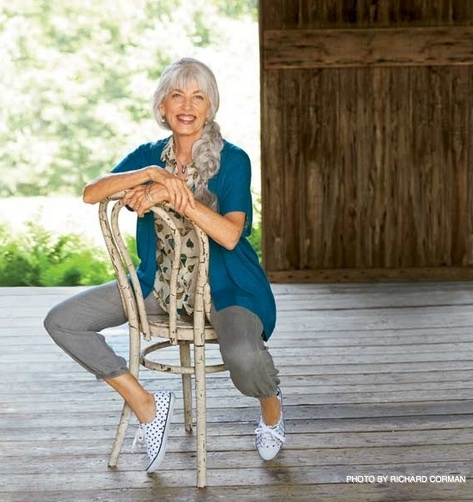 Did a really fun photo shoot back in August for this little feature in the October issue of Prevention. 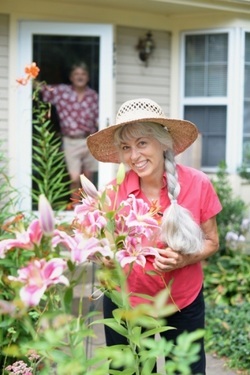 They liked the story of how I reinvented my life and our marriage. Click here for the lowdown. Redbook.com wrote a great article on how couples have done whatever it takes to make their marriages work. 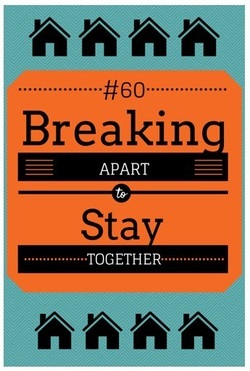 We are featured along with a few other very interesting and resourceful couples. Click here for the story and share it around! What a fun chat across the pond with Warren and Betsy Talbot who are "Married with Luggage"! Click here to listen to our conversation about how living separately has worked so well for me and Emil. Now this is what I call proactive! Brides Magazine does an article on living separately and plugs my book! 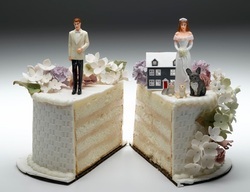 I've been hoping that it would get into people's hands before the marriage turns sour, but this is even better! Can an interview be too much fun?? You be the judge. 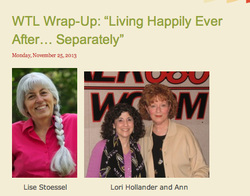 Give a listen to this great chat with Ann Quasman and Lori Hollander on "WomanTalkLive" airing out of Baltimore. I was contacted by a journalist in Moscow who was doing a story on people who are choosing to live alone. She sent her Washington Bureau Chief and their cameraman down to Charlottesville for an afternoon and this is what happened… Our bit of this interesting and slightly bizarre story goes from 2:40 - 3:15. If you speak Catalonian (NE Spain) you might enjoy this article about us! I had a great chat with Connie Rosenblum at the New York Times a few weeks ago. Although our story doesn't take place in the Big Apple, Connie saw fit to share the good news in this great article. 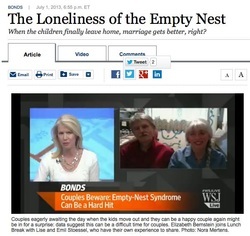 They did a story on the "empty nest syndrome," a timely topic with parents schlepping their last fledglings off to college these past weeks. Kerri talked with me and marriage and family therapist, Eli Karam, PhD, as well as callers from the audience. Click here for a link to the write up on their website and once you're there you can listen to the podcast, too! Great article on AlterNet. Check it out! This was a very pleasant surprise! 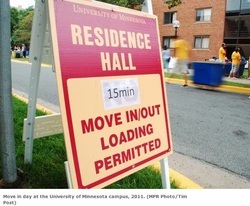 Lynn Parramore writes about the increasing incidence of couples living apart, citing the Stoessels and my book. Read it here. The Wall Street Journal. Meets the Stoessels. Who'da thunk it?? Click here to see the feature story and watch our video interview from July 1st. And, don't forget to leave a comment! Sharing the couch with Ricki! What fun! Here's a clip from our episode on the Ricki Lake Show. She had put together a show on "unconventional marriages" and Emil and I got flown out to L.A. to add our two cents. Great fun. Praise to Ricki for bringing important issues to daytime TV! Ricki Lake Show coming right up!! Ricki Lake Show! Click here to see the teaser for our episode. OpEdNews Interview with Meryl Ann Butler. I had a great time chatting with Meryl Ann about our adventure in Hollywood. Check out the interview here. I had great fun chatting with Julia on BlogTalkRadio this afternoon. Click here to give a listen! 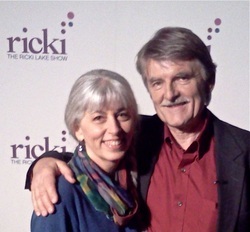 A beautiful new shot of me and Emil just in time for the Ricki Lake Show screening. Coming to a TV near you on Friday, June 7th! Don't miss it! In fact, after you've seen it, write me a comment on the blog page! the Stoessels go to Hollywood! Emil and I were invited to be guests on the New Ricki Lake Show! They flew us out to L.A., put us up in a posh hotel, primped and pampered us. Stay tuned for details and air dates! I had big fun chatting with Grace Boyle and Robert Packard about my book on WTJU last weekend. Short and sweet: listen here. On the news in Alabama! Check out this little CBS news story about Emil and me. Sadly, they forgot to mention my book... but oh well. Whachagonnado?? I had a really fun chat with Dr. Jerry Teplitz, the host of the Healthy Alternatives Radio Show. Click here to listen in and click here to check out Dr. Teplitz' website. Let me know what you think! Check out this great little article about the book in Charlottesville's favorite alternative newspaper, The Hook. Click here for the link. 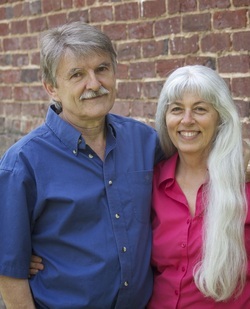 Book signing July 27th, 2012 at New Dominion Bookshop in Charlottesville, Virginia! Join us for a hometown gathering! The fun starts at 5:30pm. What better way to start your Friday on the Downtown Mall?? Bring a friend and register for the door prize! Click here to RSVP on the Facebook Event page. Please spread the word! Even if you don't need my book, I'm betting you know someone who might. Buy a book, save a marriage! Hey you lovebirds! Check out this wonderful story about my book, written by Meryl Ann Butler on OpEdNews! While you're there, be sure to leave a comment! Video clip! Click here to see some highlights from a recent book signing event! Listen to my interview on WINA's Real Life with Jennifer Till. After you've listened, post a comment on my blog; I'd love to hear your feedback and/or questions. The Events page will have info on book signings, talks, and other groovy gatherings!